November 9 is not a good day for Fallon O’Neil. It’s the day, two years ago, that changed her life drastically…for the worse. It’s while facing everything she hates about that day that she meets Ben, an aspiring novelist. Despite being total strangers, the way Ben looks at her is unlike the way anyone has looked at her in a long time, and they end up spending an entire day together. But it’s also Fallon’s last day in L.A. She’s ready to shed her old life and start fresh, riding on the life advice of her mother, a wise woman that she always trusts. The two agree that they will meet every year on the same date, but live the rest of the year completely cut off and separate from each other. And their story is just the inspiration Ben needs for his novel. It’s over the course of several years, meeting on the agreed date, that Fallon becomes unsure if their relationship isn’t based on what she thought it was. GUYS! This story. You should have seen me reading it. I knew I looked like a crazy fool, smiling and laughing and crying by myself in a corner. I dare you not to spend the first half of this book smiling like an idiot. 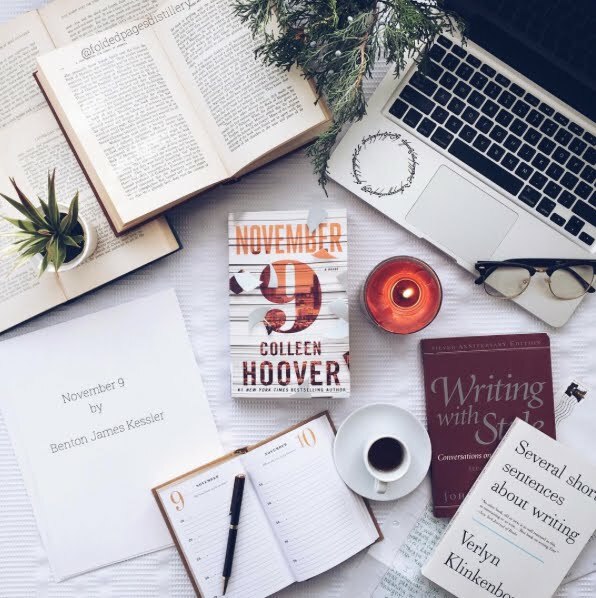 I’m having a hard time deciding if I’m in love with Ben Kessler or Colleen Hoover. Same thing, right? Swoon. The dialogue in this story is excellent, witty, clever, funny, heartwarming, and my favorite part of the whole thing. I have been reading some harder, sadder stories lately, and was just the thing to lift my spirits and make me want to hug strangers in the street. Colleen Hoover has yet to disappoint me with her love stories. She always has great characters, great plot lines, and great dialogue. 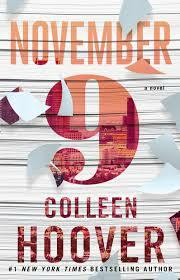 November 9 was no different, and is actually now my personal favorite of all her books. I read this one all in one sitting. Perfect for someone looking for a fun romance, and a quick read.